LVM is a disk management solution that allow administrators to manage disk space. If a file system needs more space, it can be added to its logical volumes from the free spaces in its volume group and the file system can be re-sized as we wish. LVM allow you to manage disk space more effectively. LVM allow you to add, remove space from existing volume. 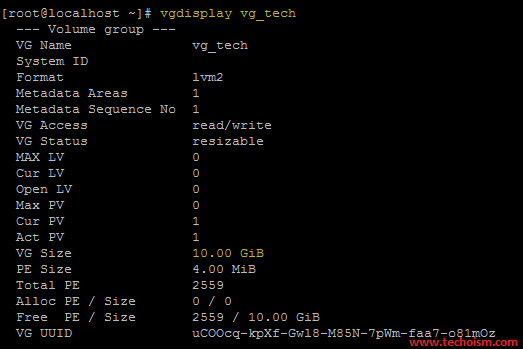 Before you start creating LVM partition, make sure you understand physical volume(PV), volume group (VG), and logical volume (LV). Physical volume (PV): PV are the partitions on hard disk, or hard disk itself. PV are the base of LVM structure and referred as physical volumes. Volume Group (VG): VG are the combined physical volume into a single pool of storage. Think it is as a group of PV. Logical volume (LV): LV are the actual partitions on system created from VG. 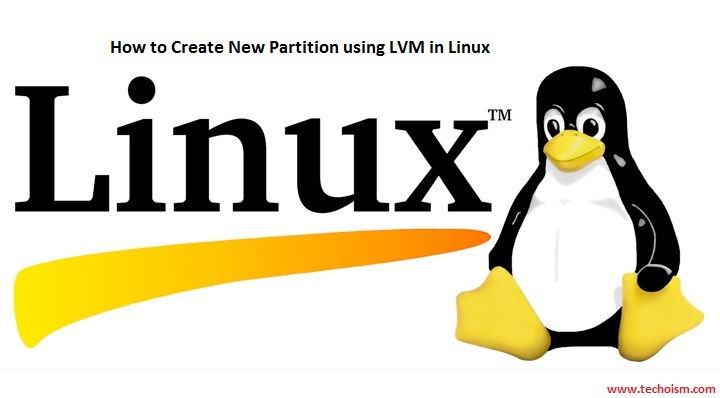 In this article we will explain how to create new partition using LVM in linux. 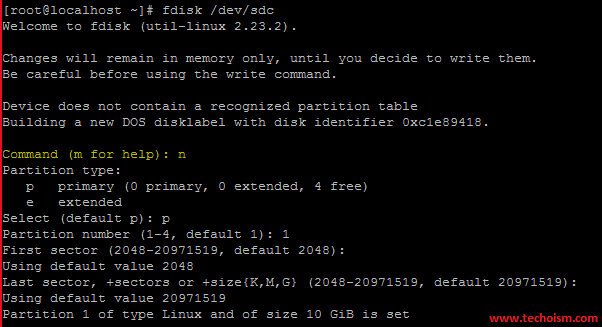 With the help of fdisk command we can create new partitions. 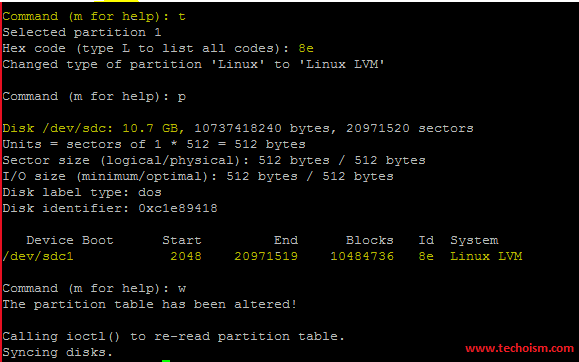 Execute below command to create new partition. Type m and press Enter to see a list of the commands you can use to create partition. Use the n command to create a new partition. You can create a logical or primary partition (l for logical or p for primary). A disk can only have four primary partitions. Here we need to change the type of newly created partition using t, we need to create LVM so we need to type of partition using code of LVM as 8e, if we do not know the type code Press L to list all type codes. we need to choose the physical volumes that will be used to create the LVM. We can create the physical volumes using pvcreate command. pvcreate command is used to create physical volume. Note: You can also create physical volume using multiple disk also. Volume group is collection of physical volumes. Volume groups are nothing but a pool of storage that consists of one or more physical volumes. Once you create the physical volume, you can create the volume group (VG) from these physical volumes (PV). Note: You can also create volume group using multiple physical volume also. To get more information about newly created volume groups, run the following command. A volume group is divided up into logical volumes. We can create logical volume with lvcreate command by giving the name of a new logical volume, its size, and the volume group. Note: Physical Extents are nothing but equal-sized chunks. 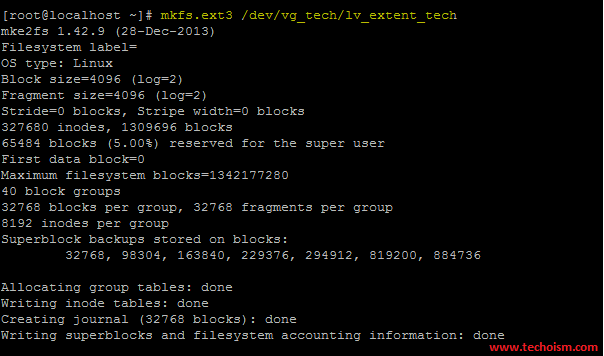 LVM processes the storage in terms of extents. We can also change the extent size using -s flag. By default the size of extents is 4MB. 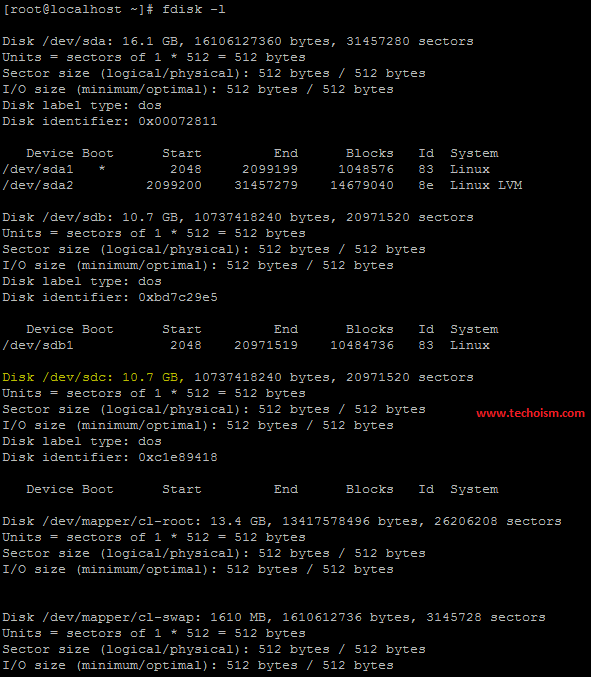 Before using the both partition, you need to format both new partitions with a file system. You can do this with mkfs command. 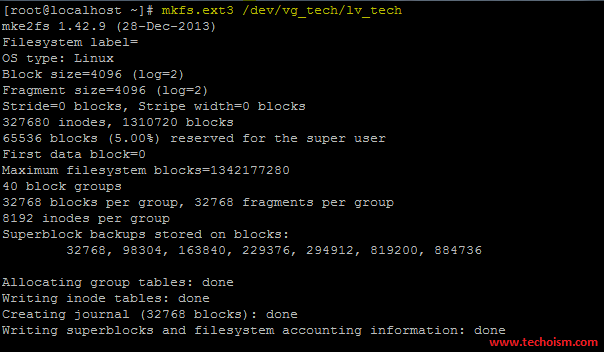 You have successfully formatted the filesystem. Now you can mount the partition and use it. You can mount the partition permanently adding entry in fstab file. Add below line at the end of file. Run following command to mount the drive at run time.